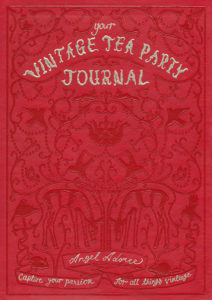 Record your passion for all things vintage in The Vintage Tea Party Journal – from bestselling author and vintage expert Angel Adoree. Following the enormous success of The Vintage Tea Party Book, The Vintage Tea Party Year and The Vintage Sweets Book, Angel Adoree now invites you to put your own vintage quirk to the test. With a unique mixture of recipes, hairstyling tips, make-up methods and advice for collecting vintage china, you can now compile all the things you love about vintage in this beautiful keepsake.